WASHINGTON, DC, May 18, 2011 (ENS) – Senate Republicans on Tuesday blocked an attempt by Democrats to eliminate five separate oil industry tax breaks estimated at $21 billion over 10 years. Three Democrats from energy-producing states joined 45 Republicans in voting against the Close Big Oil Tax Loopholes Act (S. 940), which went down in a 52-48 vote. It needed 60 votes for approval. Forty-eight Democrats, two Republicans and two Independents voted in favor. The measure would have applied to BP, Chevron, ConocoPhillips, Exxon Mobil and Shell. The bill had the support of the Obama administration and environmental groups as well as organizations that view tax help for the oil industry as extravagant at a time when Americans are struggling with rising gas prices. It was opposed by major oil and gas producers, chambers of commerce, fiscal and tax policy groups. They argued that the bill would eliminate more than $21 billion in subsidies “for the five largest, most profitable oil companies in the world” and said that some Republicans have publicly expressed a willingness to consider supporting the legislation. “It is encouraging that some Republicans have publicly expressed a willingness to consider supporting legislation to cut wasteful subsidies for oil companies and we look forward to working with all of you to lower the deficit,” wrote Reid and Menendez. “If we are to truly address our national debt, we will all have to tighten our belts and make sacrifices – even the most wealthy and powerful among us,” they wrote. “The Big 5 oil companies have made nearly $1 trillion in profits in the last decade – and more than $30 billion of that in the first three months of this year alone. At the same time, many Americans are struggling to make ends meet, find a job, or fill their gas tanks with $4 per gallon gasoline. We simply cannot solve our budget problems by asking working class families to shoulder the burden alone,” wrote Reid and Menendez. But Senate Republican Leader Mitch McConnell of Kentucky views lifting the subsidies as a back-door tax. “Last night, Senate Democrats put forth a plan to raise taxes on American energy that, in their own words, would have done nothing to lower the price of gas at the pump,” McConnell said today. “The legislation they proposed yesterday would have done three things: destroy jobs, send American jobs overseas, make us more dependent on foreign sources of oil,” said McConnell. In a bipartisan 42-57 vote today, the Senate rejected the measure. President Barack Obama imposed a moratorium on deepwater drilling in the Gulf of Mexico during the BP Deepwater Horizon blowout last April that triggered a three-month long oil spill of nearly five million barrels of oil, the worst offshore oil spill in U.S. history. McConnell said, “After the devastating oil spill we had last year in the Gulf, improving safety is one of our highest priorities. That’s why our plan amends the Outer Continental Shelf Lands Act to require all lessees to develop spill response and containment plans, establishes a public/private task force on oil spill response and mitigation, and orders a study on federal response to oil spills by the Comptroller General to examine capabilities and legal authorities related to spill prevention and response to clarify appropriate federal roles. But these measures have already been put in place by the Interior Department’s Bureau of Ocean Energy Management, Regulation and Enforcement, BOEMRE. 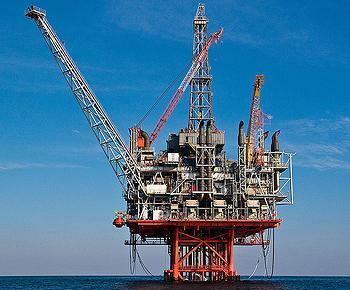 BOEMRE is now permitting deepwater drilling again. On Tuesday, the agency announced approval of an Initial Exploration Plan submitted by BHP Billiton, Inc., for activities in deepwater Gulf of Mexico. “The EP was completed in accordance with new safety and environmental standards implemented since the Deepwater Horizon explosion and oil spill, and is the first deepwater Initial Exploration Plan approved to include the completion of a thorough site-specific Environmental Assessment,” the agency said in a statement. BHP Billiton, Inc.’s plan includes one proposed deepwater exploration well approximately 4,468 feet below the surface 124 miles offshore Louisiana. An Exploration Plan describes all exploration activities planned by the operator for a specific lease or leases, including the timing of these activities, information concerning drilling vessels, the location of each planned well, and other relevant information that needs to meet the new safety standards. The site-specific Environmental Assessment included new scientific information that had not been previously available for consideration or analysis, said the agency. Based on its review, BOEMRE found no evidence that the proposed action would significantly affect the quality of the environment and issued a Finding of No Significant Impact, which allowed the Exploration Plan to be approved. Meanwhile, last week, the U.S. House of Representatives passed the third in a series of three fast-track drilling bills that favors Big Oil profits over safety of coastal communities and environments. H.R. 1231, The Reversing President Obama’s Offshore Moratorium Act, is a massive handout to the oil and gas industry. This legislation forces the federal government to take on 50 percent of the cost of seismic testing for oil and would require the administration to open up coastal and Arctic offshore drilling areas regardless of economic or environmental consequences. These areas would include the coasts of California, Massachusetts, North Carolina, Virginia, Florida and the fragile Arctic marine ecosystem off the coast of Alaska. Environmentalists contend that H.R. 1231 does not solve the gas price problem but puts at risk hundreds of thousands of jobs that rely on clean coastal waters. It also threatens thousands of miles of coastal habitat and exposes countless bird and marine species to the dangers of offshore drilling, said Rodger Schlickeisen, president and CEO of Defenders of Wildlife.